Get inspired by the Columns & Caryatids exhibition–and get your own creative juices flowing–at the Exhibition Tour and Creative Workshop with exhibiting artist Kristi Pfister on Saturday, November 17. Join us this autumn for Newhouse After Dark, a brand new after-hours program. Each month, enjoy the beauty of live art experiences in the oldest building on campus. Jenno Snyder is a Staten Island-based queer experimental composer and multi-instrumentalist. Her latest album, Too North, was released by Worry Records (2018). Formerly under the name God II, she released three EPs: Crazz (2017), Infinite Feedback Lute (Lost Notes Media, 2017), and Death After Life (Captain Crook Records, 2016). Previously, she was known for her work with Staten Island-based band Yeti, as composer and bassist. All exhibits are on display in the Newhouse Center for Contemporary Art (Buildings C & G). 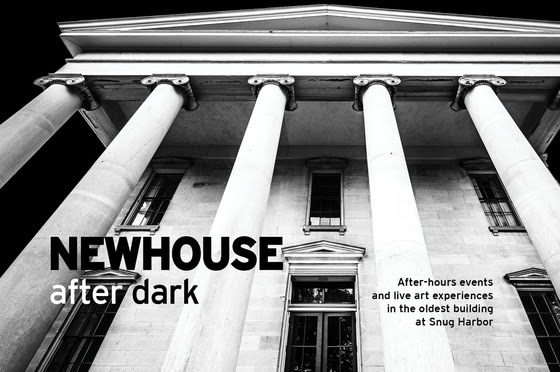 General admission to the Newhouse Center is $5 ($4 for students/seniors, free for Snug Harbor Members). Leapin’ lizards! Everyone’s favorite irrepressible heroine Annie takes center stage in one of the world’s best-loved musicals, produced by In the Wings Productions from November 30 – December 2 and December 7 – 9 in Snug Harbor’s Music Hall. Learn how to make the most of your food scraps by composting! 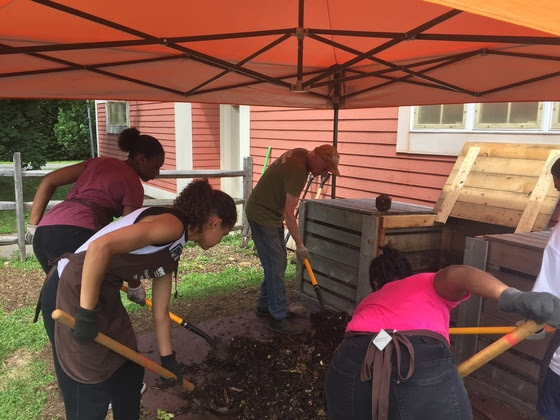 Join the NYC Compost Project’s nextTurn & Learn sessions on November 27 and December 8. If you help us make compost, you can take compost — just bring your own container. Cure what ales you with Snug Harbor and Kills Boro Brewing Company! Join us for a Happy Hour at Craft House at 60 Van Duzer St on Wednesday, November 14, where $1 from every beer purchased from 5:30 PM – 9:30 PM will be donated to Snug Harbor. In honor of the event, Kills Boro will debut a brand new craft sour ale brewed with Habanada peppers, Japanese butterfly ginger, and Korean perilla–all locally grown at and sourced from Snug Harbor’s Heritage Farm. Cheers! Say it isn’t so! The Heritage Farm Stand’s last sales of the 2018 season will be this Saturday, November 17. Need to stock up for Thanksgiving? Stop by the Visitor Info Booth on Chapel Road one more time from 10 AM – 3 PM for the freshest better-than-organic produce, grown right here at Snug Harbor. • Snug Harbor is hiring! We have several open positions available, including Rangers and Fire Guards/House Managers. Read the descriptions on ourCareers page and apply to jobs@snug-harbor.org. • The Staten Island Museum’s Edible Island Market is back for seconds! On December 1, mmmm your way through a market full of delicious local and regional tastes, bites, and gift-able take-homes to give this holiday season. • Get more inspiration for your holiday giving list at the Noble Maritime Collection’s Culture Shop and Art Lab’s Annual Handcrafted Holiday Fair, both also on December 1.